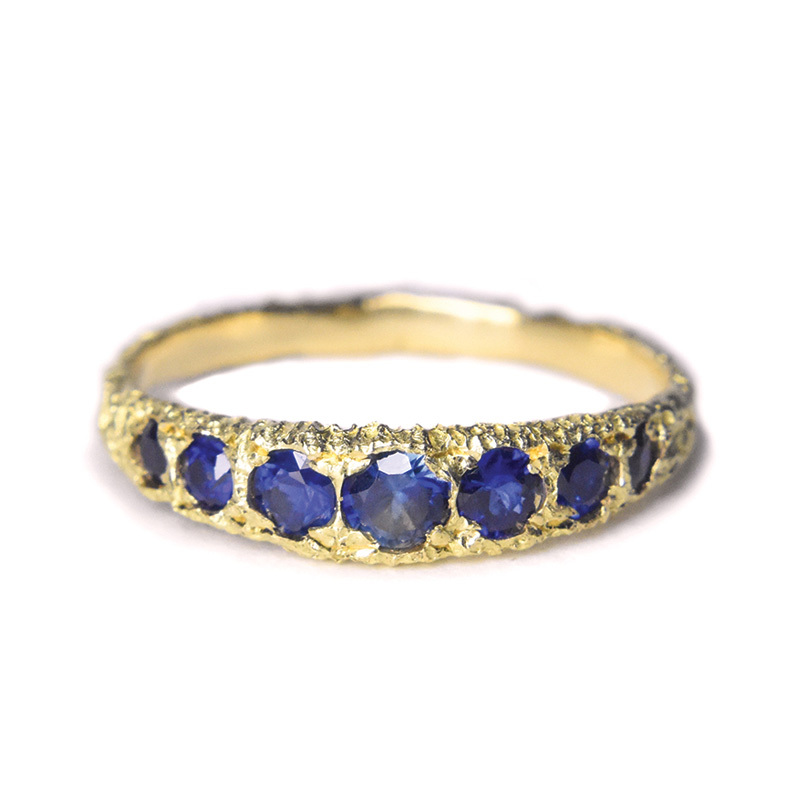 Phases Ring / 18ct eroded gold / Australian sapphires / by Welfe. 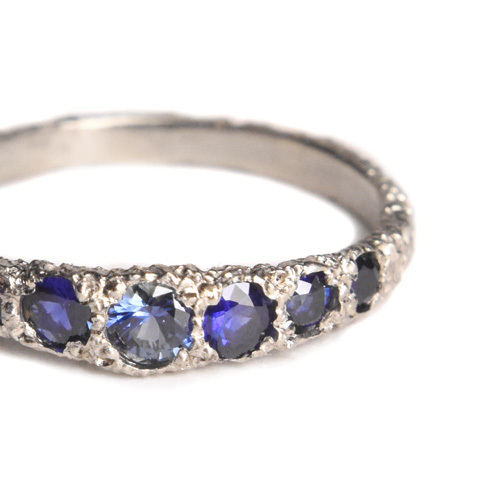 The seven stone Phases Ring contains a colourful array of Australian Sapphires, ranging from dark blue to royal blue. It is also available in an array of champagne diamonds or all white diamonds.